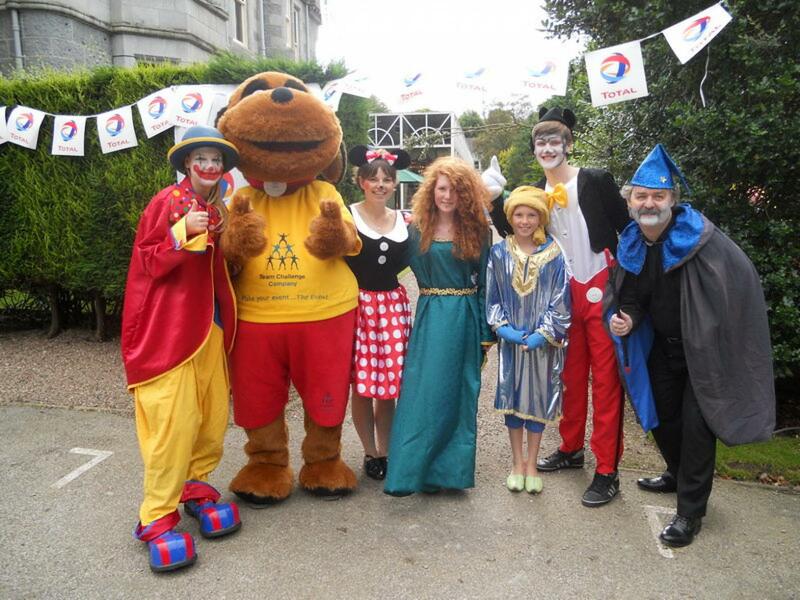 As the guests from Total descended upon the stunning Ardoe House Hotel for their Cartoon Themed Corporate Family Fun Day there were a few familiar faces waiting to welcome them as Denver the Dog was joined by Mickey and Minnie Mouse as well as our very own Fantasia the Clown and Pocahontas. Entry was the price of a high five and had everyone in high spirits before the Inflatable Fun and Target Zone competitions had even begun. Many of the guests were dressed up themselves in Disney regalia really getting into the spirit of things and making the most of a fantastic afternoon of entertainment. 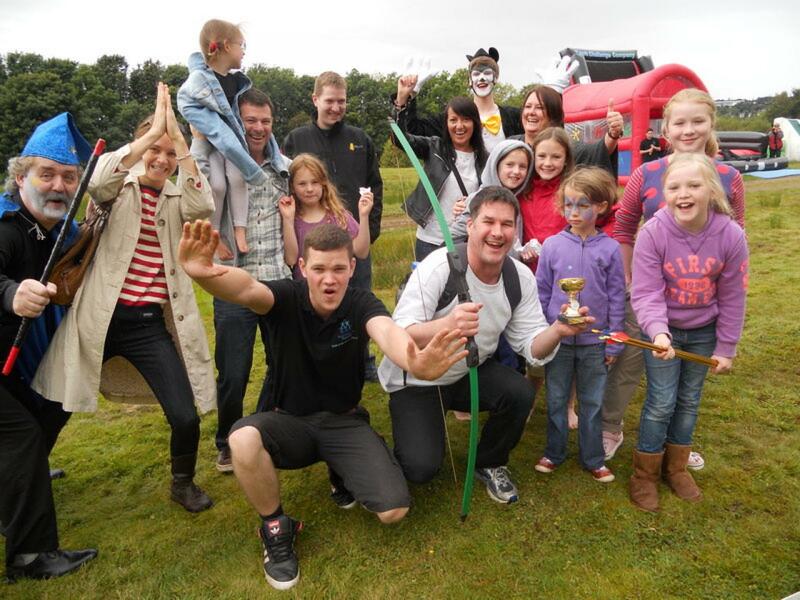 As the afternoon got underway there was lots to do for the kids and adults alike from the Bucking Bronco to our children's Assault Course and Target Golf to the Human Demolition. As competition time drew closer and closer first of all on Archery it was up to the Maid Marions to show us how it was done. That was until we found our Robin Hood in Matt who sailed into the top spot taking home our Team Challenge Company Winner's Trophy. 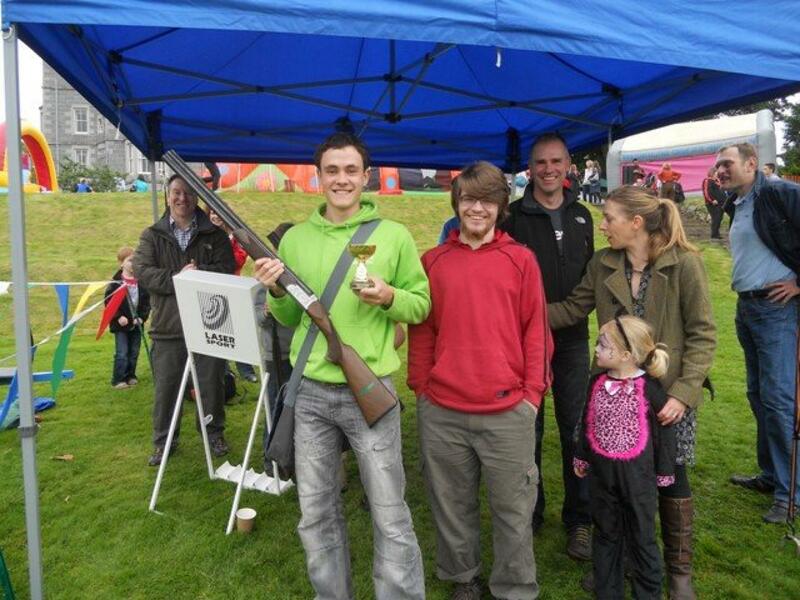 He was soon joined in the champions corner by Jonny after an incredible performance on the Laser Clay Pigeon Shooting after hitting ten clays in a row - one word for that WOW! 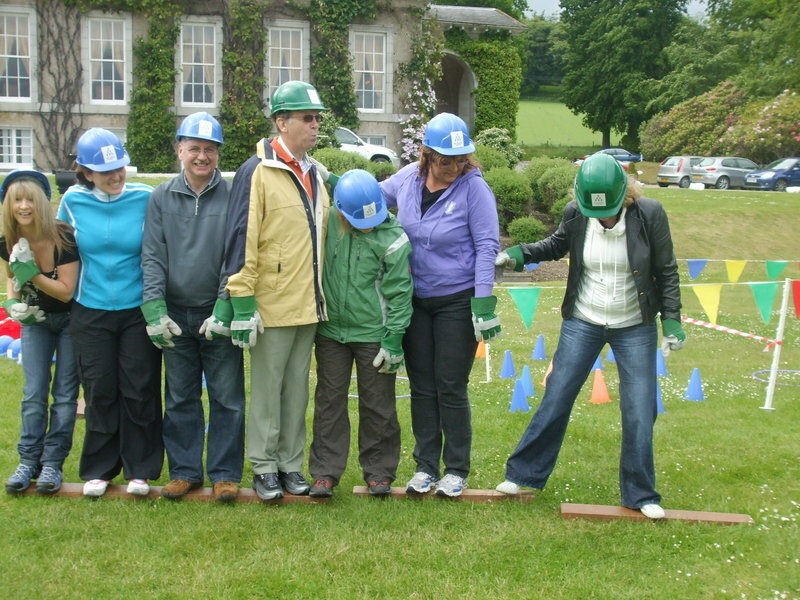 The same goes for our medal winners of the Children's Treasure Hunt Team Orla. As the end of the afternoon drew near we were all treated to a Fancy Dress Parade as Mickey and Minnie gave out the prizes for Best Dressed going to Zombie superman and an uncanny Merida from Disney's Brave while our Judges Choice Award was presented to a phenomenal Spongebob Squarepants. The Raffle soon followed as some great prizes were given out and over £400 raised for Children First so well done to everyone for this excellent achievement. The Finale Races were then ready to give us a send off in style that saw many of the adults get more involved than the kids! Great Effort! As Denver and the team waved everyone goodbye it was with a huge cheer for Muick for all of his hard work in putting the event together for everyone to enjoy. It was our pleasure to entertain you all and look forward to next year. Whatever will our theme be then?